Tthis past summer I took my 83 yr old father and my two sons 11,12 to the South Pacific. My father was in WWII and has always wanted to go back to the South Pacific. We flew from Baltimore to Calif. The next day LAX to Tahiti. Tahiti Air is amazing the amenities they have on the flight is first class. After a day in Tahiti we flew to Moorea. People tell me that Moorea is similar to Hawaii 30+yrs ago. We rented an over the water bungalow. The beach was narrow. The marine life abundant. From Moorea we flew to Bora Bora. Again we rented an over the water bungalow. 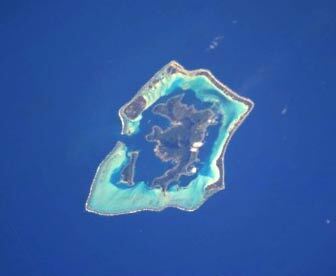 I would skip Tahiti and Moorea and fly directly to Bora Bora. We have been going to Anguilla for 17 yrs now. We remember Sandy Island with Garfield as the bartender. 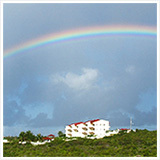 When we first came to Anguilla we stayed at Mrs. Hodges on the salt pond in Sandy Ground. I'll never forget the dogs, goats and chickens. Back then there were just sheers in the windows and a chicken flew into our apt. Once we had children and finances were better we stayed at Frangipani, Malliohauna, Carimar, The Sonesta (where the Anguilla golf course is now), and now CuisinArt. We loved the Sonesta and were sadened to see it leveled. 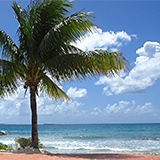 One day we hope to retire in Anguilla. Favorites B and D ribs, sesame snapper at Mangos, sea tours with Garfield, horseback riding with Tanya at Seaside Cliffs. Love excursions to Prickly Pear. Do like Shoal Bay. Thank you for your website, I enjoy reading it. Where is your own photo? I would have loved to have seen one of your own photos. Sounds divine.